Jon, Dan and Rob visited the GBBF on the Tuesday and the Wednesday. Their thoughts on their visit will appear in the form of a podcast and blog shortly. I want to make this a short blog as a simple scroll through the Pubcask Twitter timeline will tell you all about the beers I tried. Here I want to offer some overall thoughts on the Festival. Brendan and I attended the Great British Beer Festival on the Friday. It was our third consecutive year and it was the first year where we had arrived for opening. After our stroll from Shepherd’s Bush station we were met with a rather daunting queue – stretching almost halfway around Olympia. Having never queued before we wondered what this would mean! However we were delighted when at 12 the queue moved rapidly. We were in in less than 10 minutes. Our printed tickets scanned and an incredibly efficient bag check meant we were ready for beer. Glass hire was £3 and the decent quality programme was only £1 to CAMRA members. I should at this point also comment on entrance fees – £14 (£11 for CAMRA members) is fairly reasonable. It’s not a bargain but the experience you can have at GBBF is like no other festival you go to. It’s certainly not poor value. So we started our carousel of the bars and were mostly able to find something we liked at each. In terms of my own personal tastes the overall beer list was one of the weaker ones I had seen in my time attending GBBF. Although a speciality beer won this year’s ‘Champion Beer of Britain’ there were very few other examples of this beer style. Furthermore, there seemed to be a number of Breweries who didn’t present any new beers, or, in my opinion, didn’t showcase their best beers! However despite this I was able to discover plenty of new beers so I will leave it at that! One of the highlights of this year’s festival was actually being able to try the Champion Beer of Britain! This was purely a result of having good fortune – the bar on which it was being served was our third bar and we happened to approach it just as a volunteer was putting up a large sign indicating where to queue for the Champion Beer. For once we were early enough that there was still beer in the cask as we reached the bar! Binghams Vanilla Stout is the first speciality beer to win Champion beer of Britain. In many ways it was a classic winner of the award. A solid well brewed beer with all round likability. The vanilla is subtle and not overbearing and it has a little bit of ‘sessionability’ about it. Sure there are better stouts out there in my opinion but this is a firm all rounder. The other positive surprise of this year was actually being able to sit down on two occasions during the day! This made eating far more comfortable and we were able to enjoy a conversation with some lads from South Africa. It seemed to me that CAMRA had improved the seating capacity and this was most welcome. Food choices were once again wide and varied and decent value for money. We’re always going to have a soft spot for the pie and pork scratching bar! Amazing as ever. I had another crack at ‘Roll the barrel’ in the traditional games section. An improvement on last year’s score (one point scored instead of zero). Our experience of volunteers throughout the day was wholly positive. Good service (and in many cases a sense of humour)throughout. 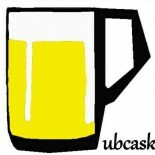 The US cask ale bar ran out on the Friday which was a slight shame for us. Some other favourites had gone by Friday evening but it was to be expected by that time! I again missed out on the Fullers Vintage Ale 😔. Although some mild entertainment was enjoyed here. A woman completely lost her composure and had a full blown argument with the man who got the last half! He appeared innocent enough! 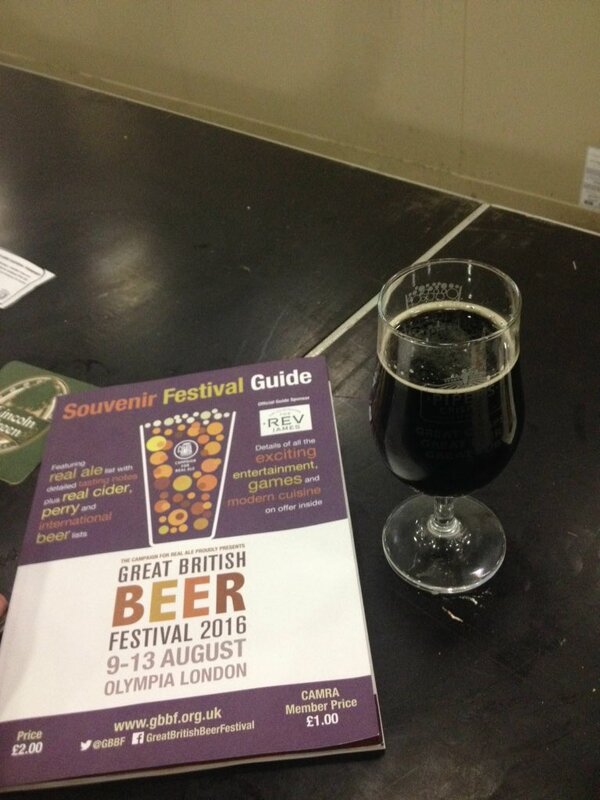 So another good year at the GBBF which still remains a must for UK beer lovers. 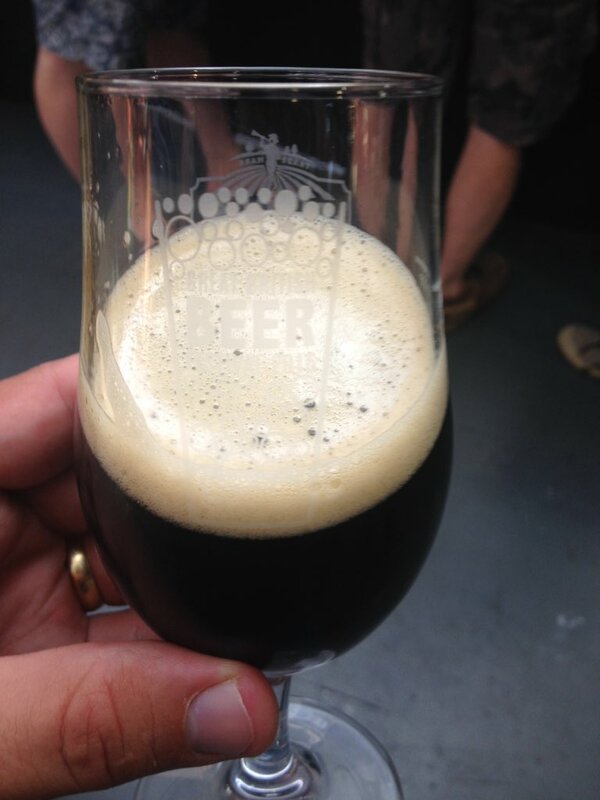 This entry was posted on August 14, 2016 by Chris Stone in Beers, Days Out and tagged Beer, Beer Festival, Beers, CAMRA, Craft Beer, London, Real Ale, real ales.